Make Your Workplace Data Work for You: Keys for Data-Informed Strategies. Integrated Workplace Management is less about a single software system and more about integrating relevant tools and datasets at the right time to support a holistic life cycle of data-informed workplace strategies. Graphic © Gensler. 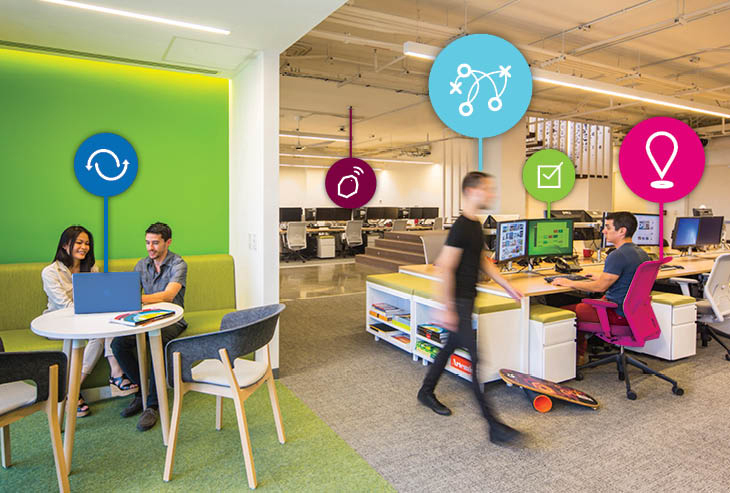 Space has the ability to transform a company’s culture and provide an engaging employee experience vital to success in today’s competitive market. Delivering this experience can be enhanced with a multitude of technology and data sources, all promising the answer to workplace success. However, without a reliable inventory of space and occupancy data, organizations struggle to get a handle on their workplace strategy. When it comes to space and occupancy management, an accurate floor plan can do more than just represent the physical space—it can help an organization secure occupants’ safety and prepare for the unexpected.